AzureLord, 29 Apr 2017I wish Asus would've returned to make such devices with updated hardware. true. 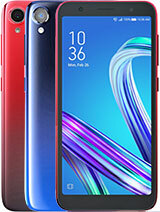 the optimisati... moreI'd be pleased for a SD845 with 6 GB Ram, 64/128 GB storage, 5.2inch 16:9 FHD. and a fair battery of 3,350 mAh. 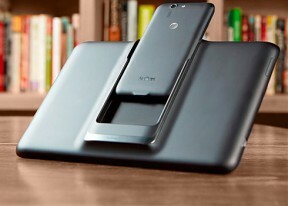 while the dock will be a 12.2incher FHD with an impressive 11Ah battery. Front cam: Phone 8MP, Dock 5 MP. rear will be 12 MP dualcam. Have been using this since 2014. Dropped it a few times and broke it this year making the screen on the phone not responsive, still running fine as a tablet. Only complaint is the lack of update. A lot of apps are not compatible nowadays although it has enough power to handle it. I wanted to buy the S version on Amazon but they shipped me a X!! I love the concept of convertible and not needing to transfer data over the cloud. I would get it again if they revive the series. 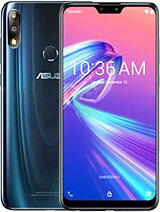 I wish Asus would've returned to make such devices with updated hardware. true. the optimisation is not particularly great. but being able to switch from phone to tablet at whim is gorgeous idea! the new device should be 5.2inch FHD with SD821 4 GB ram/64 storage. and 3,200 mAh battery while the thablet should be 11,7inch FHD with 9Ah battery. Hate my Padfone X. it displays a 4g network, but never works properly. The network signal always fails and displays "emergency call only". To restaure it, the only option is to restart the device. After restarting, the signal is seen for a few moment, just the time to send a msg on whatsapp. I dont konw how resolve this issue. Is there someone who can grant me an idea? Anonymous, 25 Mar 2016I've been wondering. I'm on my 3rd warranty replacement and this one is not working that well... morei had two warranty replacements as well. i finally gave up on the phone once i realized they were never going to update it past 4.4.2.
it was a great device before 4.4.2 lost so much apps support - youtube in particular. Anonymous, 25 Mar 2016I've been wondering. 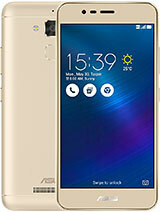 I'm on my 3rd warranty replacement and this one is not working that well... moreI have two Asus PadFone X devices. Both have been erratic since last Software Update. Phones will restart themselves randomly. Unable to make/receive phone calls. No Network/SIM error, Behaves as if devices are going in/out of Airplane Mode, but Airplane Mode is unchecked. Multiple Factory Resets and disabling Auto Update of Apps have NOT resolved issue. We have had our phones forwarded to Google Voice just so we can communicate. I am an STNA Care Giver for my companion with MS. He wears an Emergency Lifeline Pendant to alert me if he should fall. If the Alarm company is unable to reach us on either of our devices, they will dispatch the Emergency Squad! 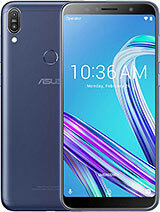 Neither AT&T/Asus will admit to this as being their responsibility and are REFUSING to offer NO COST options until there is a RESOLUTION to the CORRUPT SOFTWARE ISSUE. Oddly, this all happened almost exactly 2 years to the day of contract! Finally, get myself it's cousin Padfone S Plus 3GB RAM, 64GB internal storage version with tablet station and keyboard dock at $200, unlocked, at my country. The phone itself cost around $125. Tablet station itself is $50, and keyboard dock $25. The tablet itself is very heavy, notice degradation in performance on tablet mode, camera only 5.5MP on tablet mode. Tablet dock itself has no OTG feature, only for charging. The dual speaker of the tablet also is pretty bad. 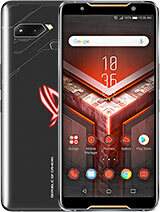 Anyway, with this 64GB version selling at this price, and still come with Micro SD slot, and SD801 processor, it is the best budget smartphone, tablet hybrid and netbook with keyboard. The keyboard connect using bluetooth connection, and don't supply power to the phone. moe k, 13 Nov 2014same problem here - stuck in perpetual airplane mode - neither asus nor att will help - anyone... moreI've been wondering. I'm on my 3rd warranty replacement and this one is not working that well. Now the warranty has run out. I have literally had a working padphone for approximately 30% of the last three years over which I have been paying for it. I have lost business calls for weeks because of this phone. moe k, 13 Nov 2014same problem here - stuck in perpetual airplane mode - neither asus nor att will help - anyone... moresame problem stuck with the airplane mode. 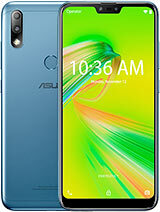 At&t and Asus don't have the solution the problem!! I spent hours to find out the way it. Any suggestions??? Amazing is a small word. Anonymous, 22 May 2015get padfone x save $300, then flash padfone s firmware ...like a bossthis mobile phone it comes with tablet and also for business men they can take two mobilephones which are asus padfone x with them to their work ha yes they can do it? I just upgraded to the padfone x from an old nokia e5. I am a cheap straighttalk user....I like the fixed 50 bucks a month. It is a large phone to carry but, I like the bigger screen and I like to play games on the even bigger screen tablet....nice, quick plugin and go feature. The battery time seemed short and so I installed an app minder to kill the extra ATT junk and now I get a full day out of it-no problem. I may be just about dead on battery time when I get home and I can slide it into the tablet and wow(! )...big screen, living of the tablet battery and continuing on. I ditched my 600$ ipad for this 220$ phone and tablet. I am pleased with the switch! I wish it will be released for Asia. does the phone have a notification LED? 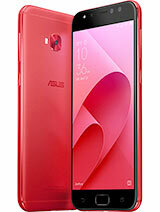 Total of 35 user reviews and opinions for Asus PadFone X.